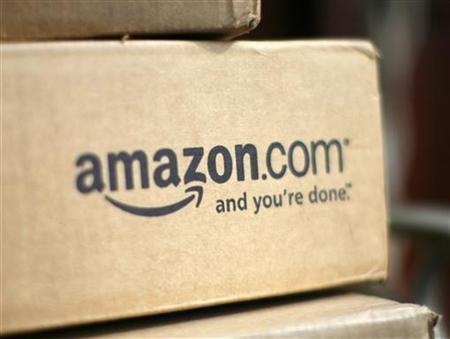 That Android Market rival that Amazon.com has been preparing may be set to launch soon. If a recent tweet by advertising platform Millennial Media is correct, then it will be going live later this month. Is there currently room for another store for Android apps? As of right now, that's all we know. 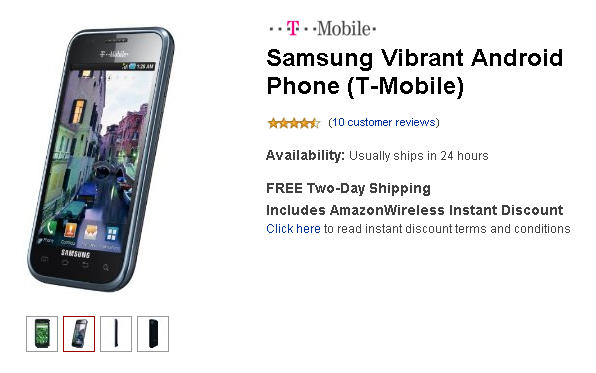 Earlier today, T-Mobile ran a "huge" promotion, lowering the price of the Samsung Vibrant to $99.99 in an exclusive online deal. 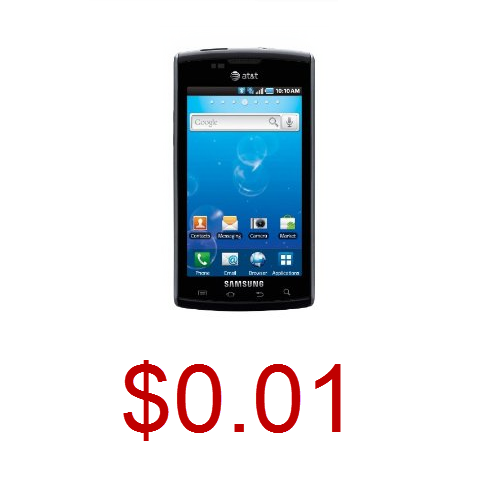 Since Amazon.com, Wirefly.com, and others have had the $99.99 price tag for ages now, we didn't give T-Mobile's deal much coverage (well, any coverage really). Many other sites did, however. 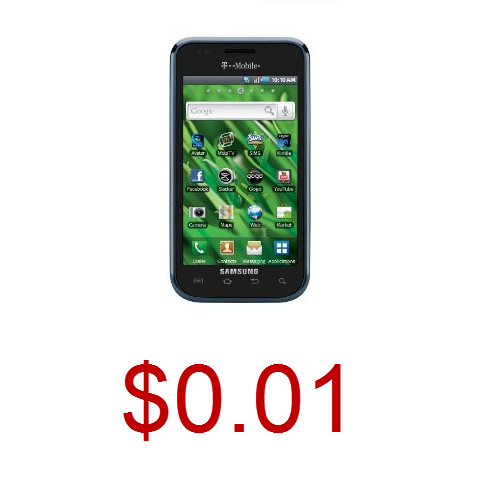 Seeing this, Amazon.com had a quick huddle this afternoon and came back with an even better offer of just $0.01 for new activations. On Thursday, Samsung Vibrant's launch day, Amazon.com one-upped T-Mobile's own store by offering an extra $50 discount off the phone's $199.99 price. However, after seeing LetsTalk.com launch their offer of $99.99, Amazon.com didn't want to get left behind and now promptly followed suit, also dropping the price to $99.99 for new accounts. If you are looking for information on the Vibrant, you can see our unboxing pictures and comparison to the AT&T's Samsung Captivate here. If you've been trying to get your hands on the HTC Droid Incredible ever since it launched and you didn't reserve one in a preorder, you may have had some trouble finding one in stock. 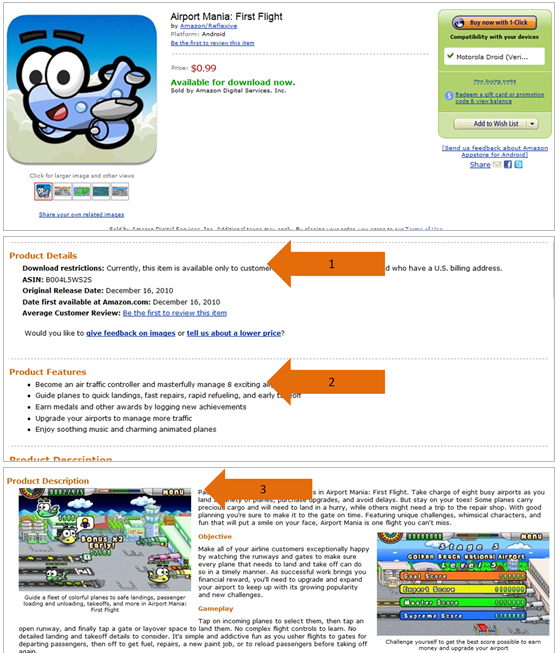 In fact, even some later preorders have not been filled yet. 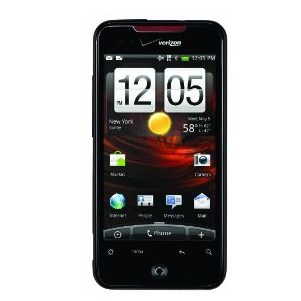 The situation with the Droid Incredible, caused by shortages of AMOLED screens, got so bad that Verizon actually allowed customers to switch their preorders to Droid X instead. Wow, what a day. 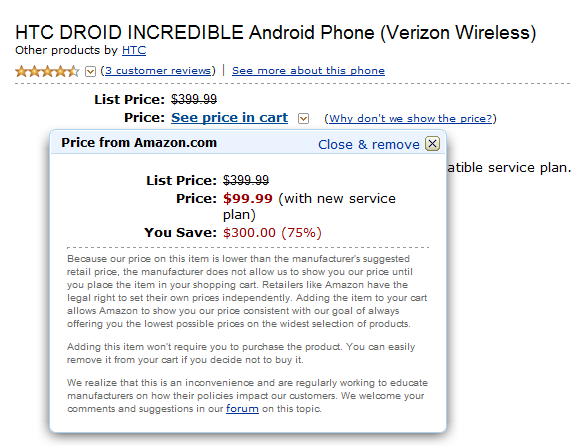 First, Wirefly.com announced a special price that was cheaper than Verizon's or Best Buy's, and now Amazon.com one-upped them and is currently offering the HTC Droid Incredible at $99! That's $100 cheaper than VZW.com (which is currently sold out) or Best Buy, and comes with a FREE 2-day shipping when purchased with a service plan. Moreover, Amazon traditionally doesn't charge any tax in most states. We are not sure whether they do on the phones or not so if someone could clarify that in the comments, it would be great.